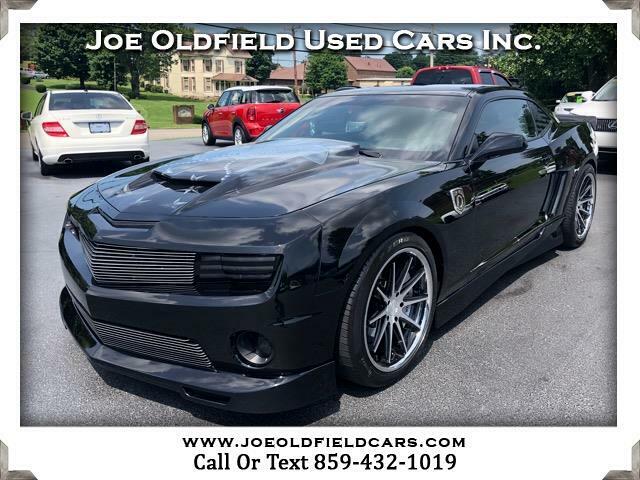 Used 2012 Chevrolet Camaro 2SS Coupe for Sale in Mt. Sterling KY 40353 Joe Oldfield Used Cars Inc. Custom one of a kind 2012 Camaro 2SS with tons of extras! This car is truly one of a kind from the custom paint work to the Whipple charger! Here are some of the key features of this car! Polished Whipped charger producing 600hp, billet Hurst shifter, boost and AFR gauges, tube headers, 20in ROHSNS wheels, new Prielli tires, cut out exhaust, cold air intake, body kit, heated seats, backup camera and much more! Previous owner said to have spent upwards of $60,000! Don't miss the chance to own this one of a kind Camaro! Please call for more information or stop by the lot to see this beauty for yourself!